The sleek, elegant and poise Addison Bed is sure to add a luxurious dimension to your bedroom. 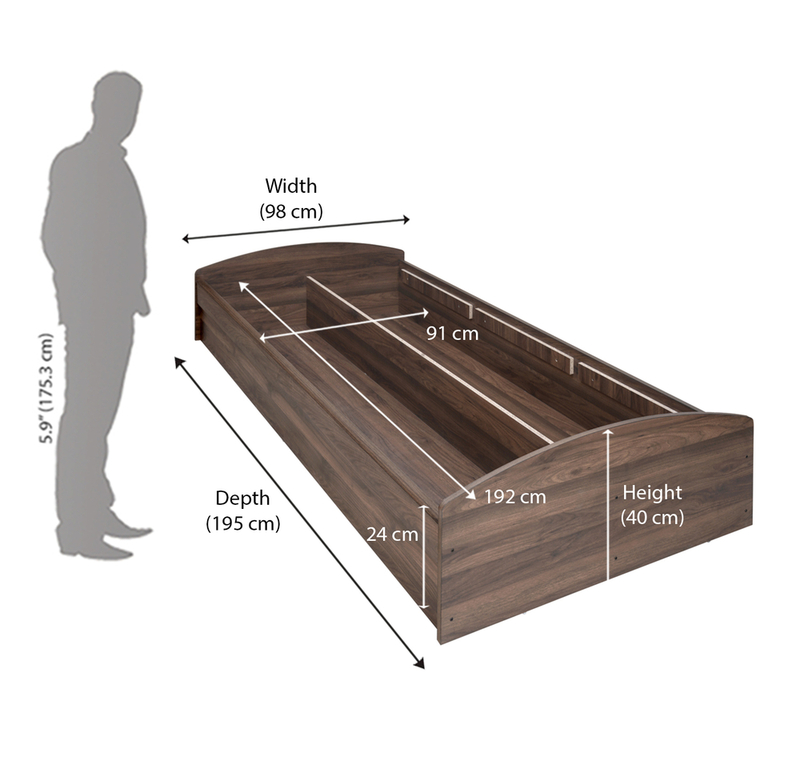 The Single Bed is just the right size to comfort you, while the minimal frame balances out with your modern day decor preferences. The subtle shade of walnut is sure to blend perfectly well with those stunning wall paintings hooked on your wall. Couple is with an aesthetically pleasing carpet and a quirky night lamp to make your room the most coveted bachelor’s pad in the town. Avoid exposure to direct heat and sunlight. We recommend a wood wax every 6 months in order to make your furniture sustain its polished and youthful look. Do not use direct water on the wood as it might step in and damage the same.